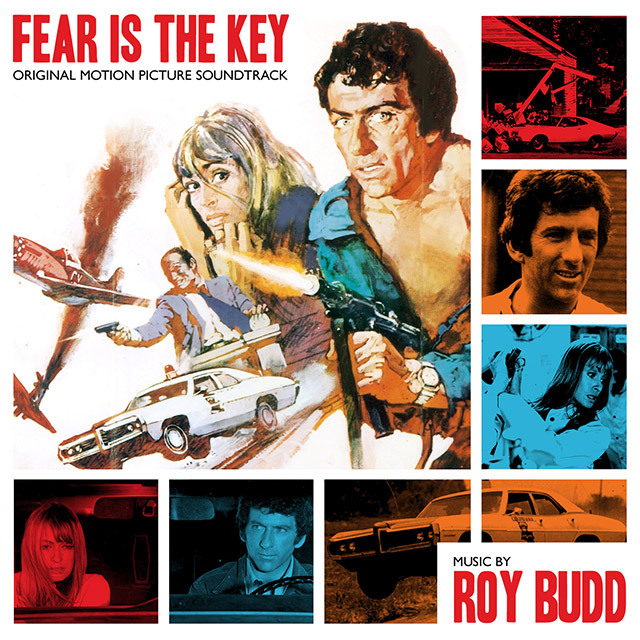 The soundtrack to Fear is The Key highlights Roy Budd’s prodigious composing talent at its very best, overseeing a line-up of the cream of British musicians including Ronnie Scott, Tubby Hayes, Kenny Baker, Chris Karan and Jeff Clyne. Much of this jazzy orchestral score was recorded live to picture and the sheer exuberance of the playing bursts out of every track. The tour-de-force is the epic ten minute Car Chase sequence, featuring a 78-piece orchestra overdubbed with skidding tyres and throbbing sirens, embellished with a blistering sax courtesy of Ronnie Scott. Released in 1973, Fear Is The Key followed a long line of film adaptations of best-selling author Alistair Maclean’s thriller novels of the calibre of The Guns Of Navarone and Where Eagles Dare.